Beginning Monday, Oct. 1, Cleveland Avenue between Oak Street and Pine Street will be closed to all traffic. The existing deteriorated brick road will be replaced with new asphalt pavement. Construction is scheduled to take 30 calendar days, barring weather delays. 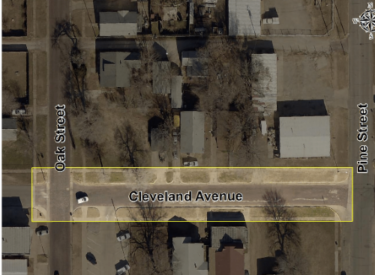 The City of Ponca City has entered into a contract with MTZ Construction Inc. of Oklahoma City, OK to perform this improvement project. Any questions regarding this project may be directed to the City Engineering department at 763-8046.